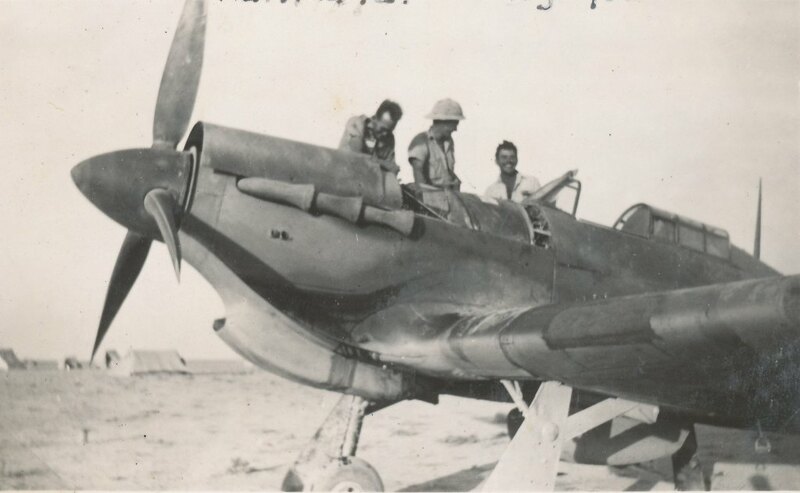 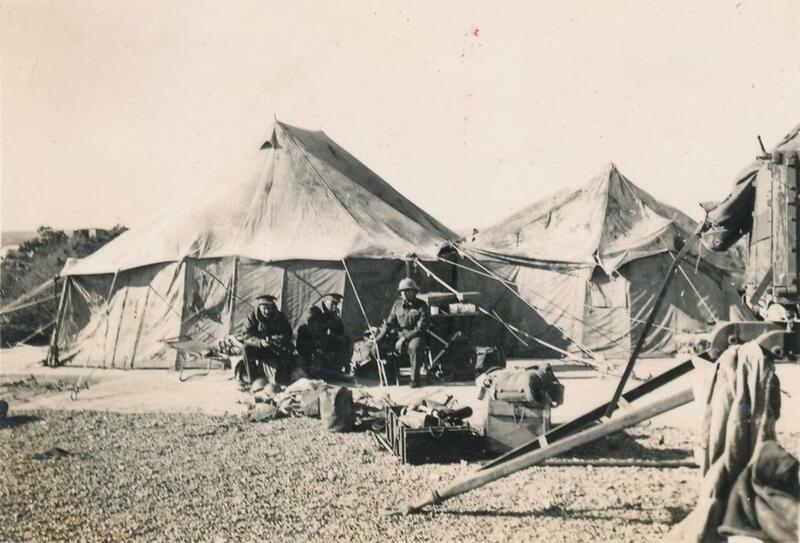 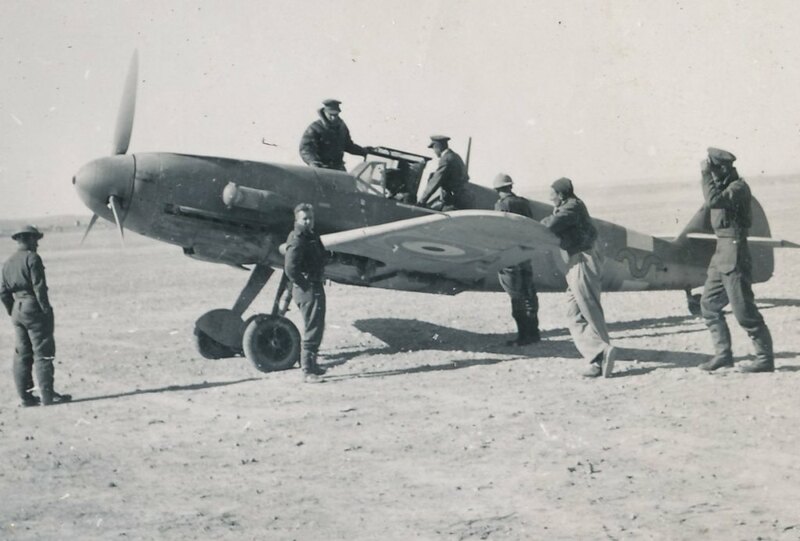 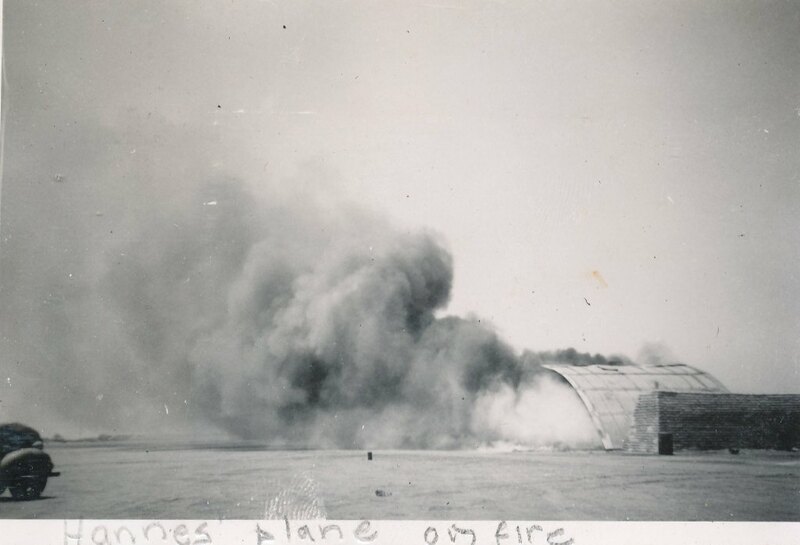 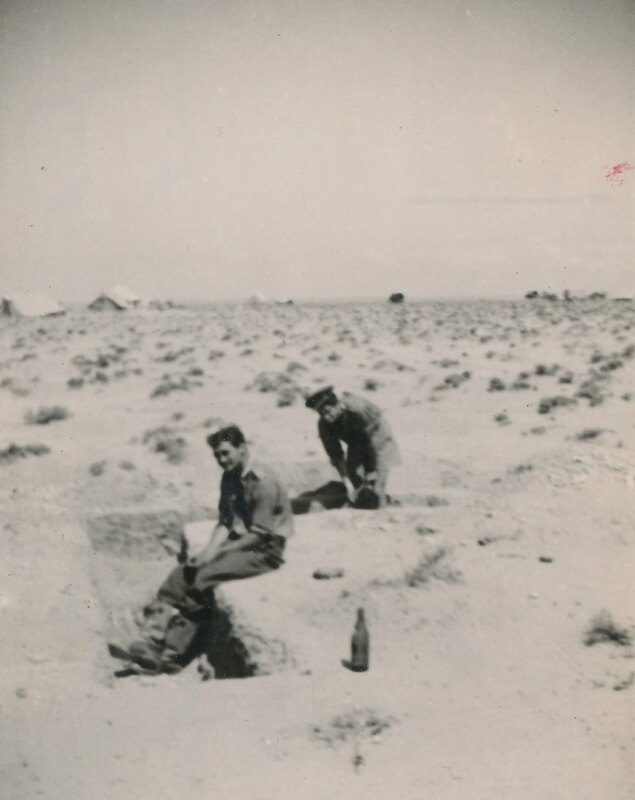 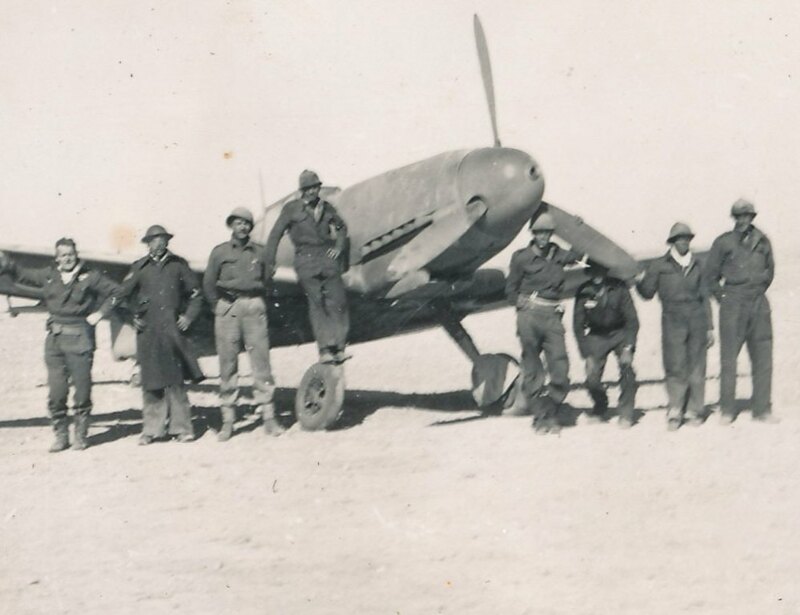 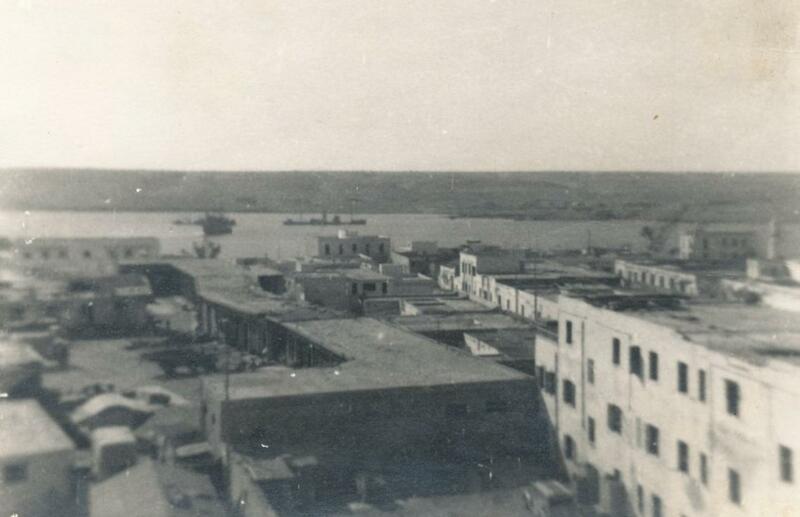 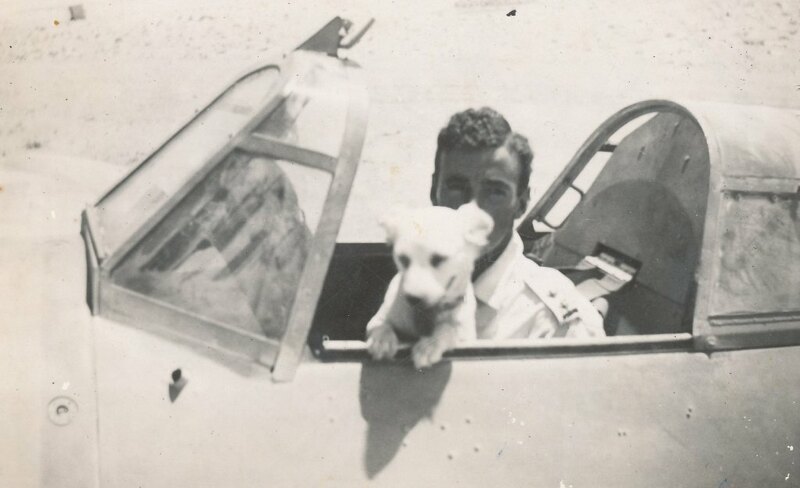 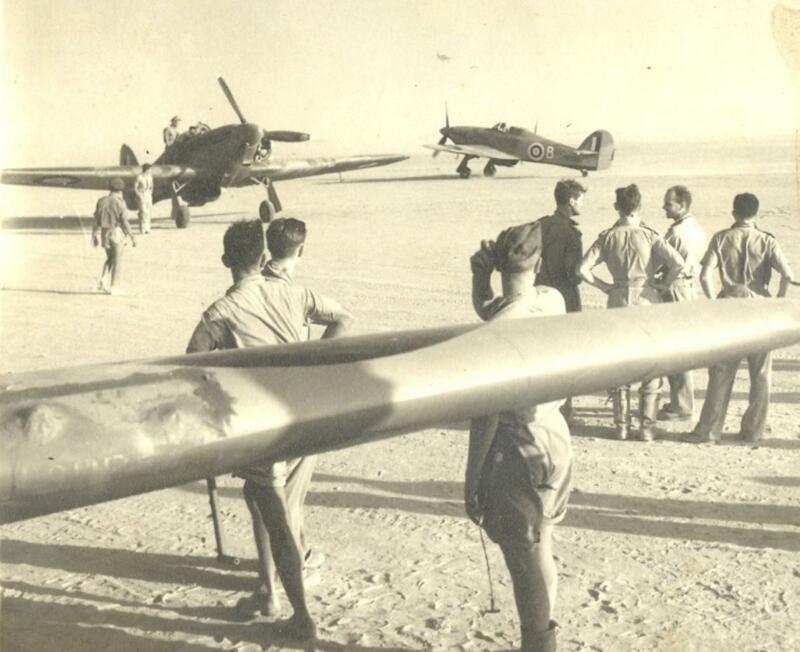 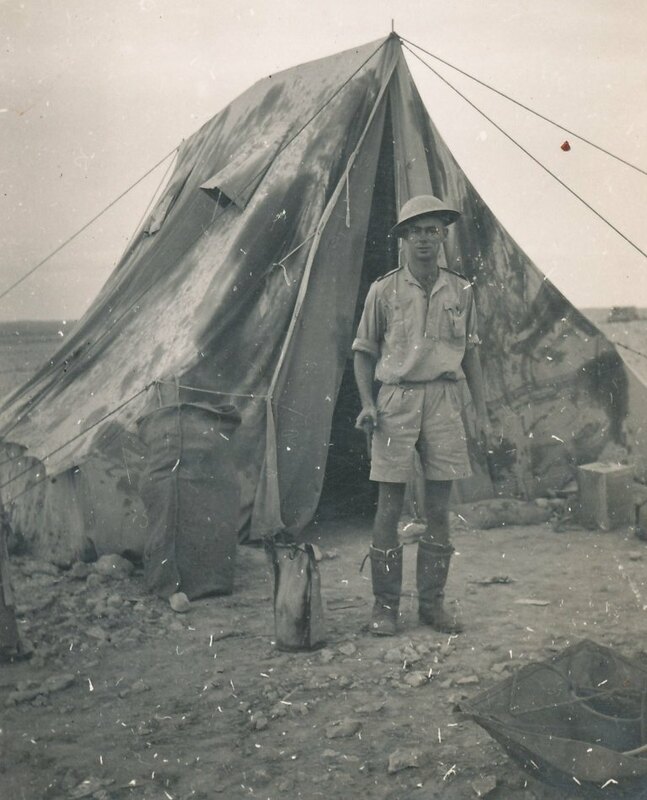 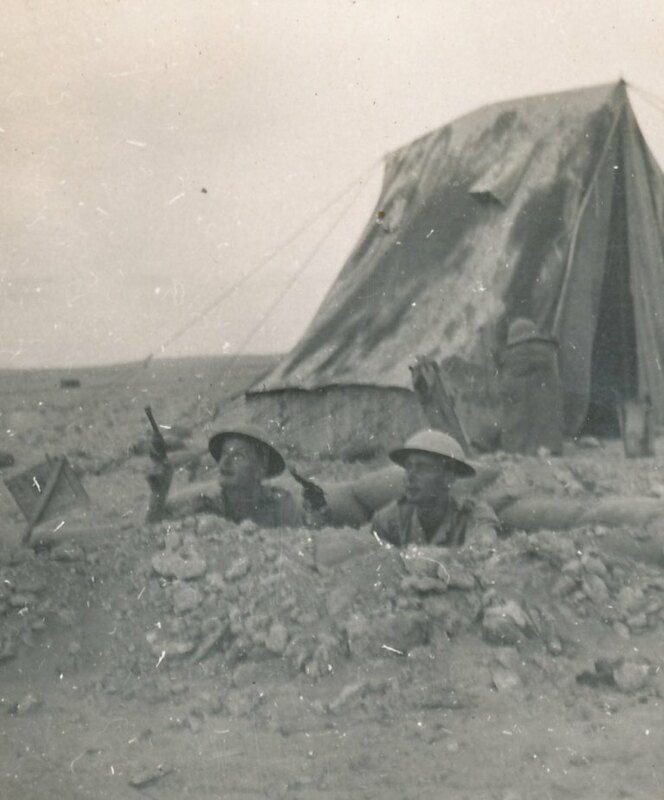 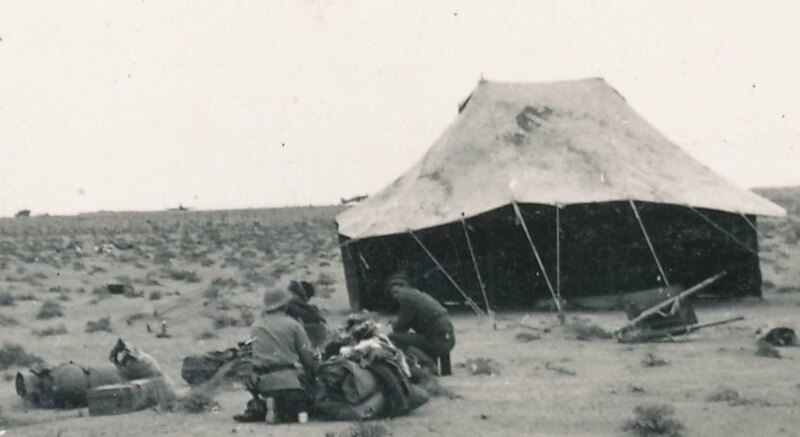 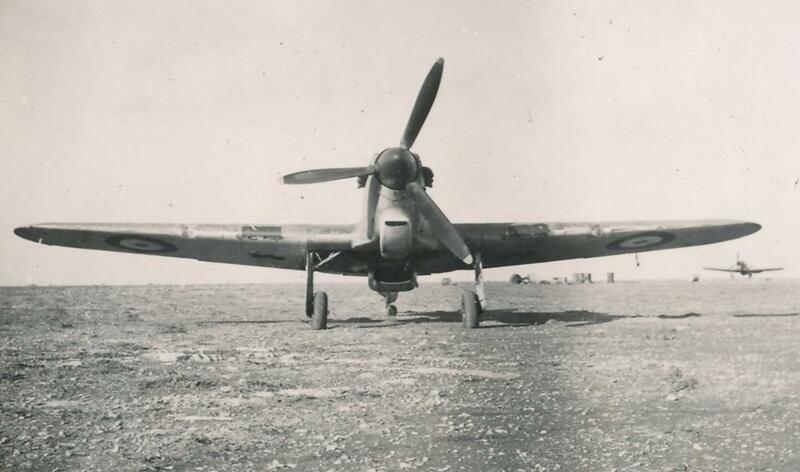 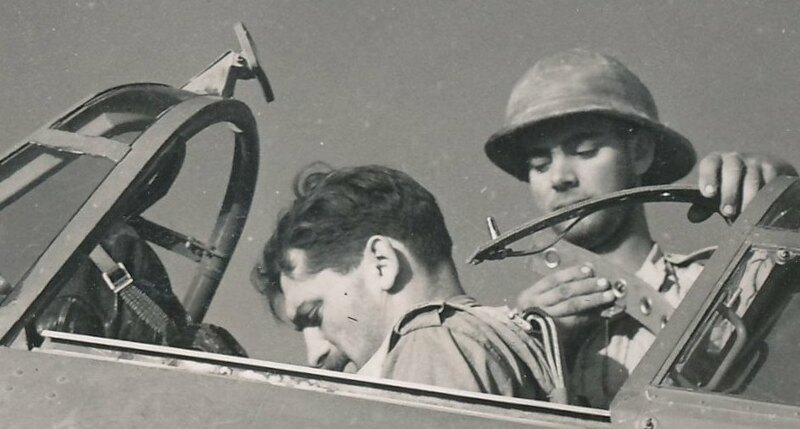 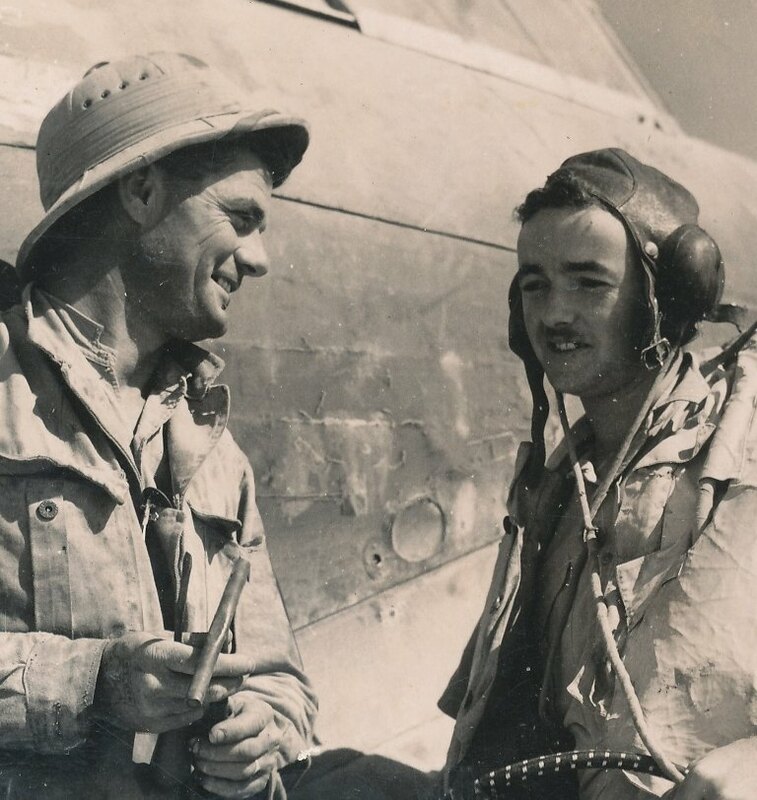 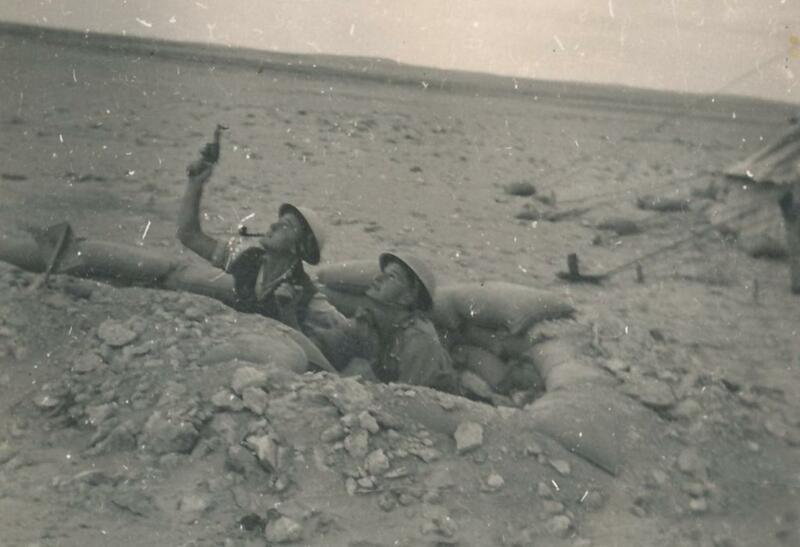 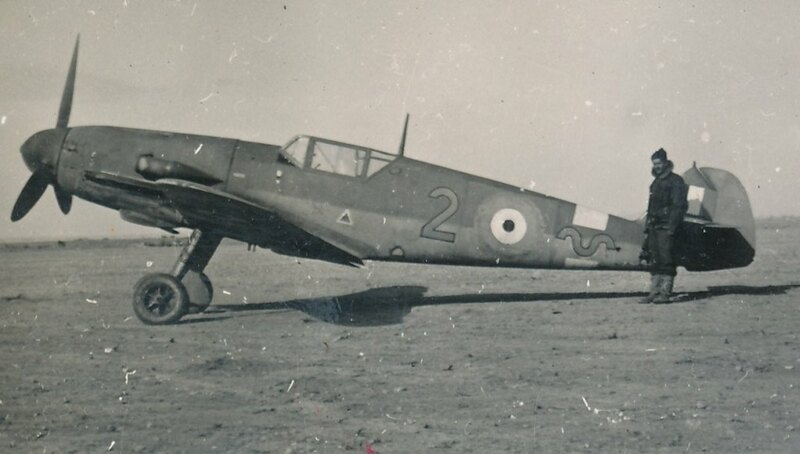 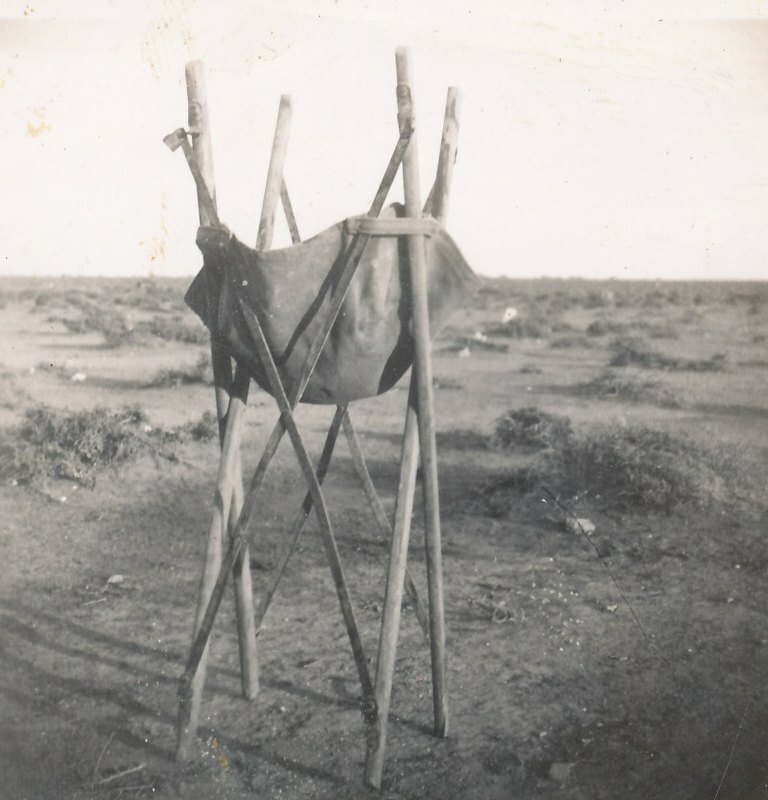 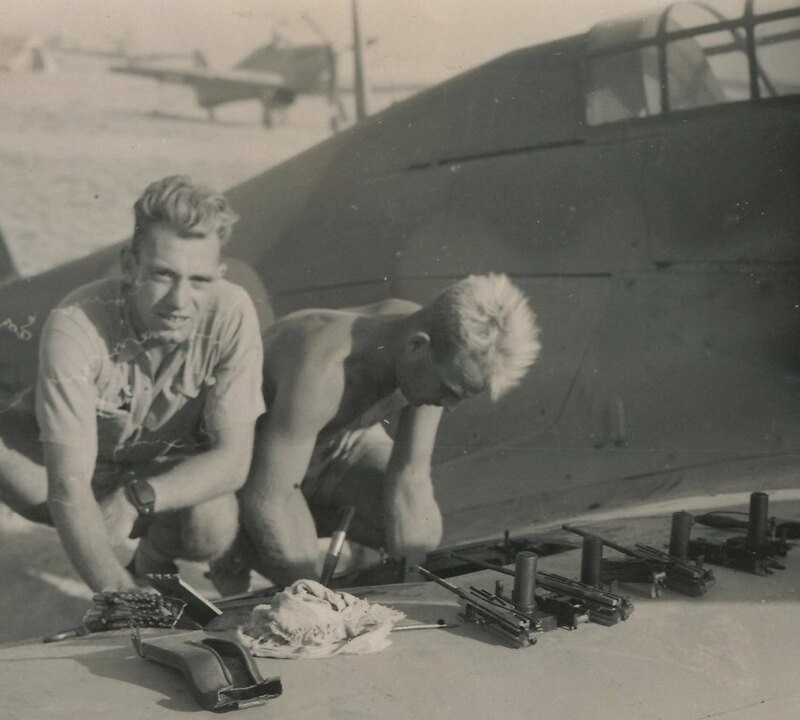 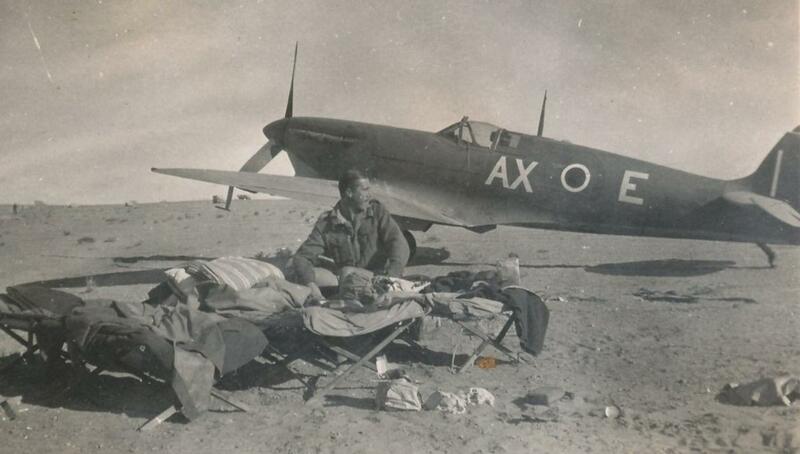 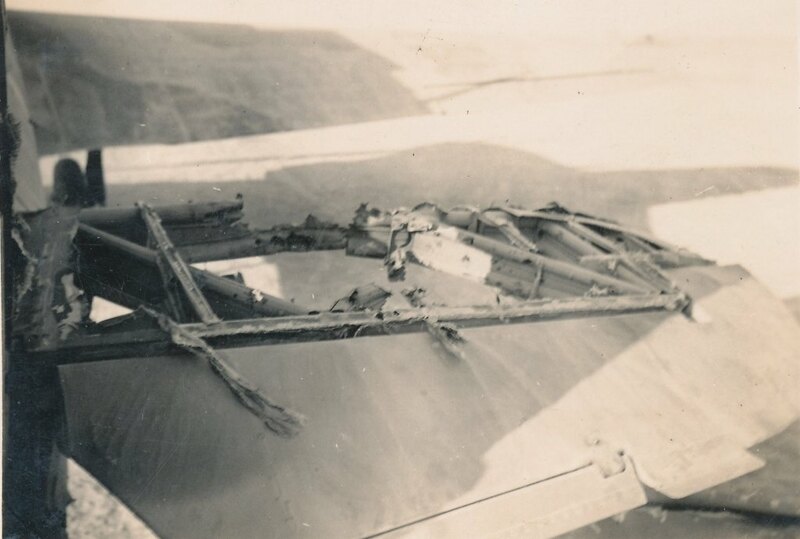 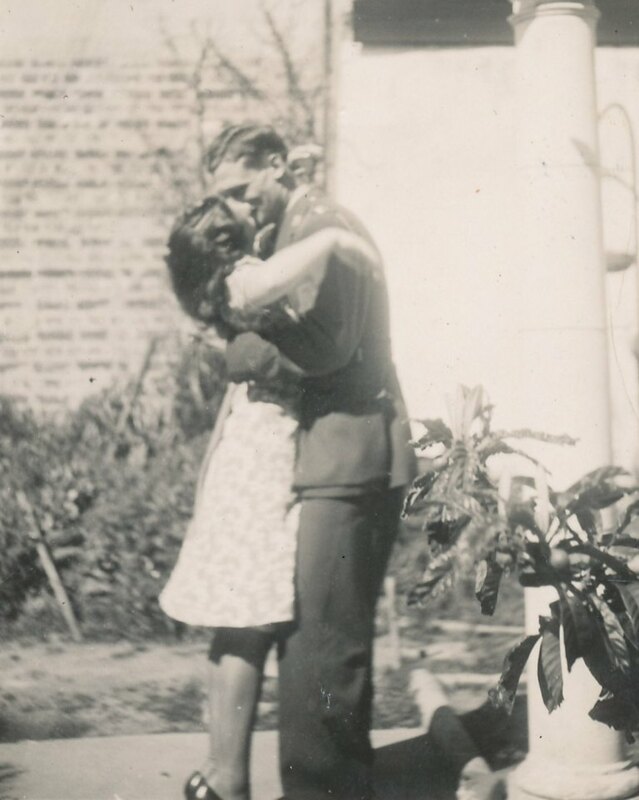 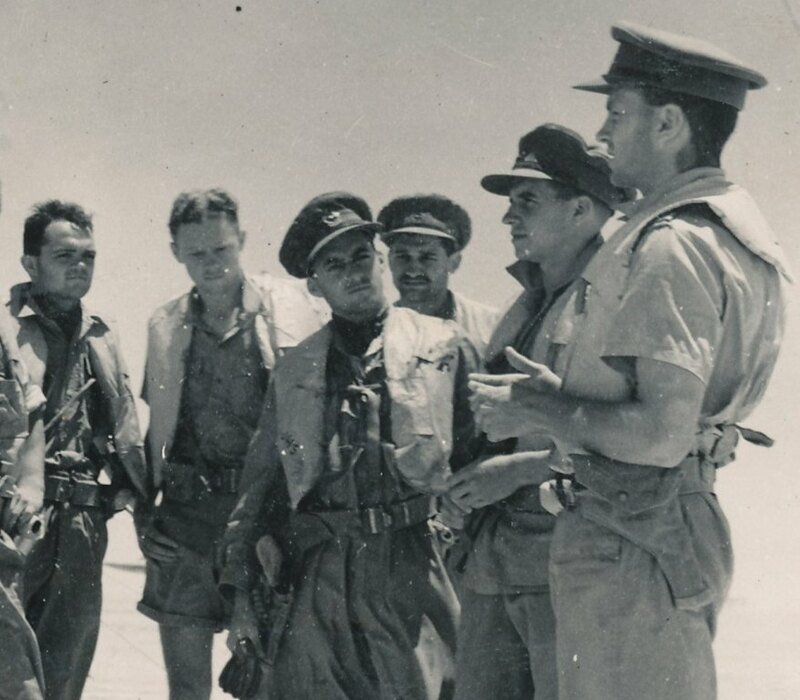 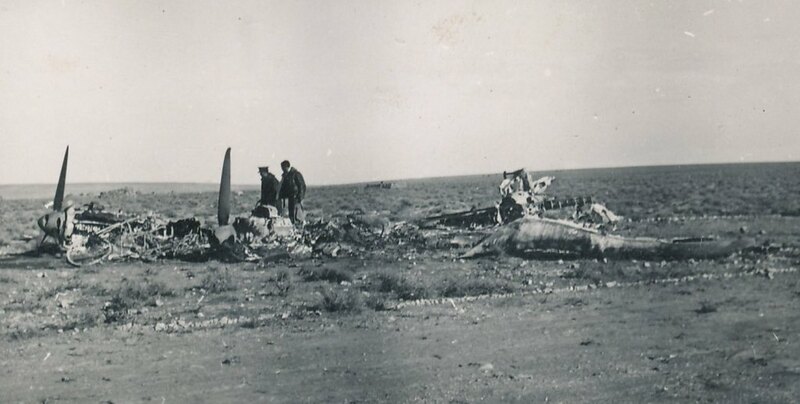 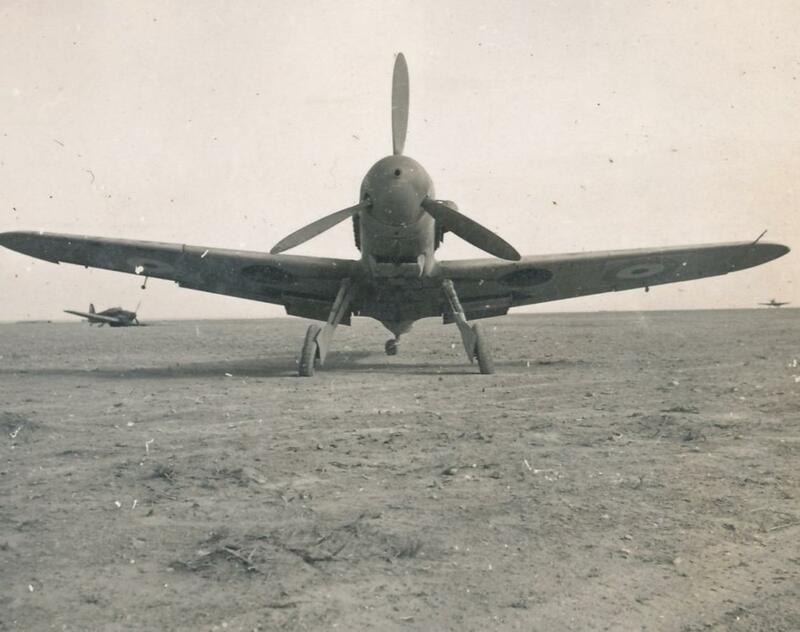 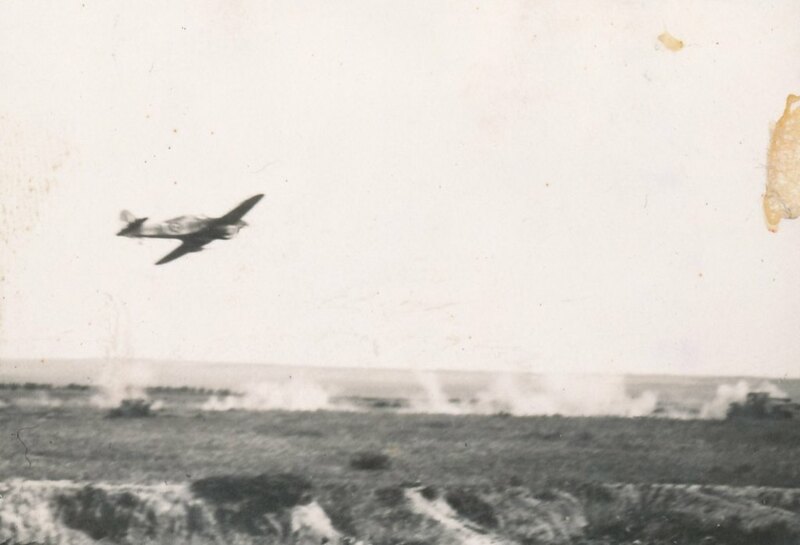 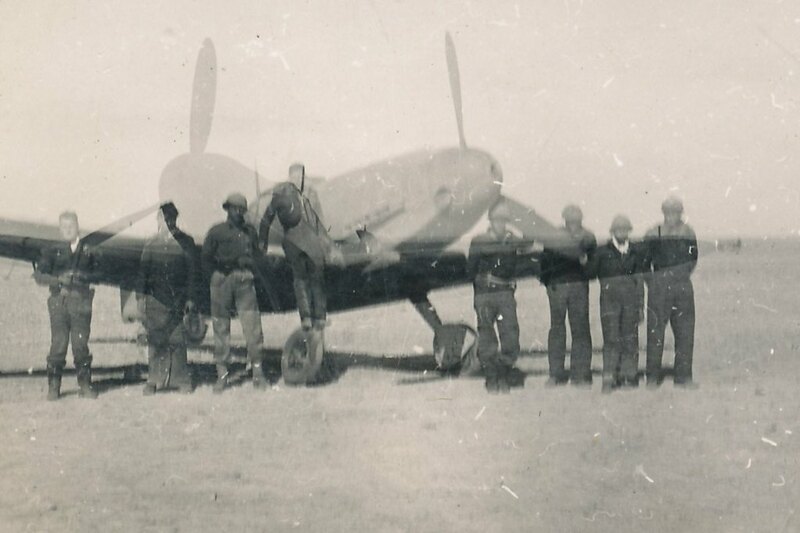 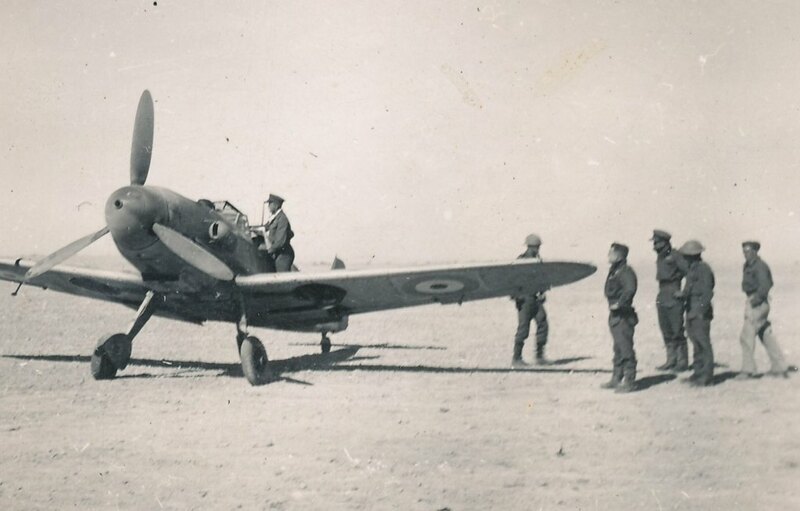 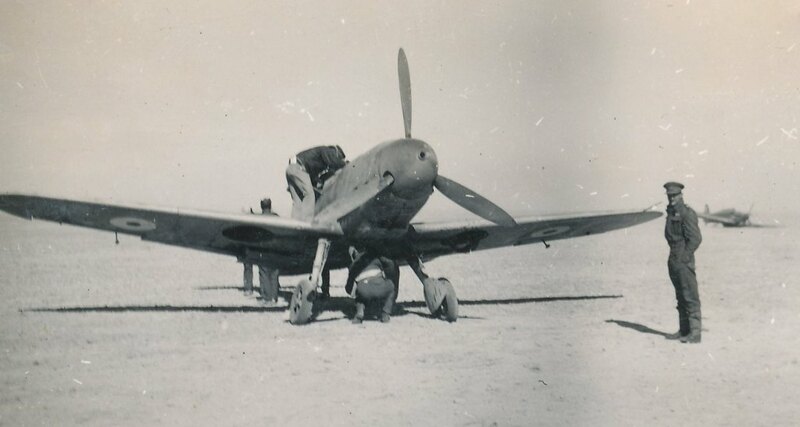 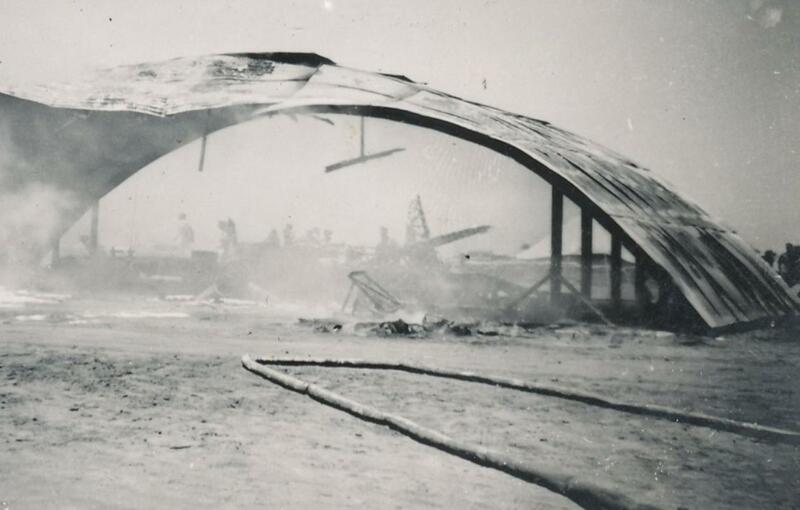 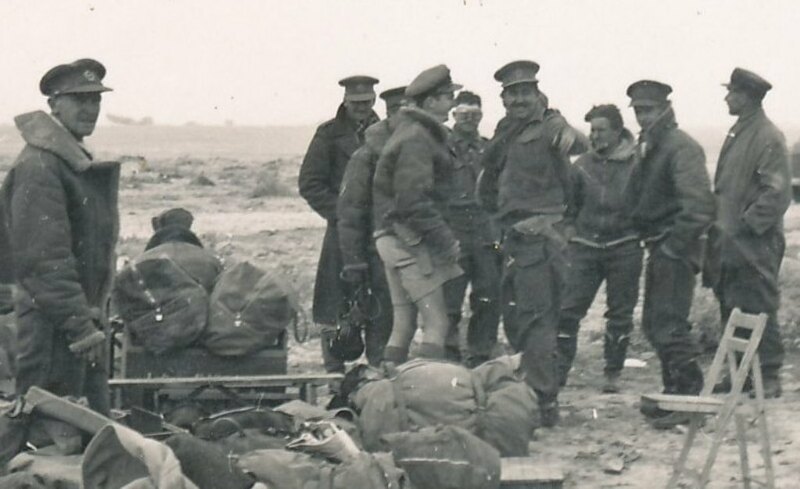 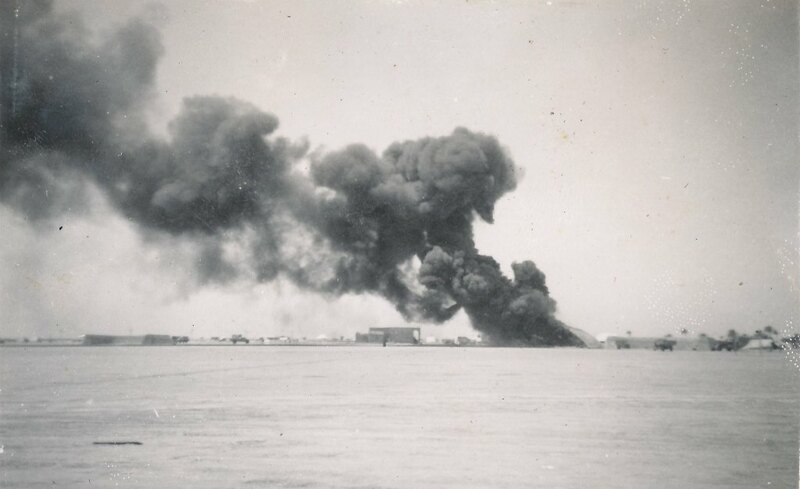 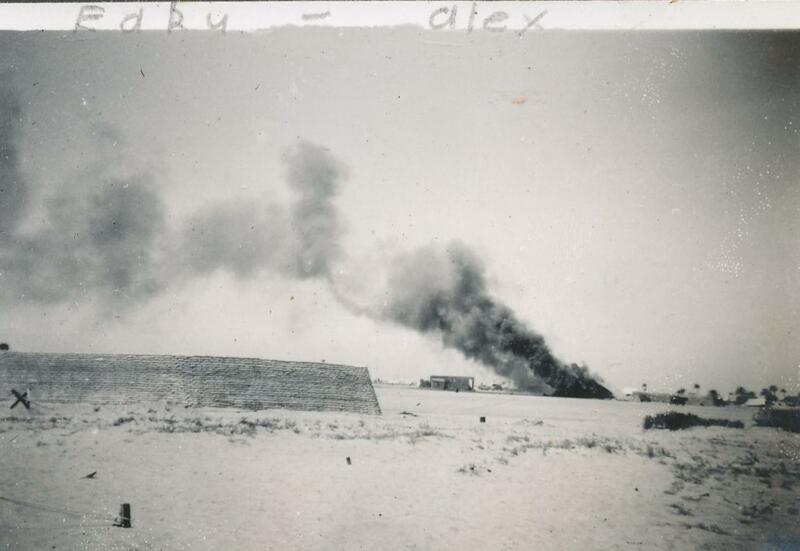 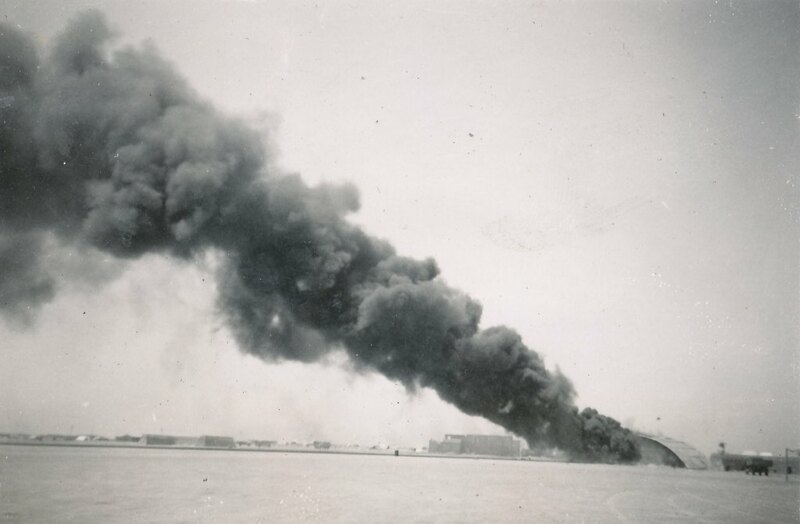 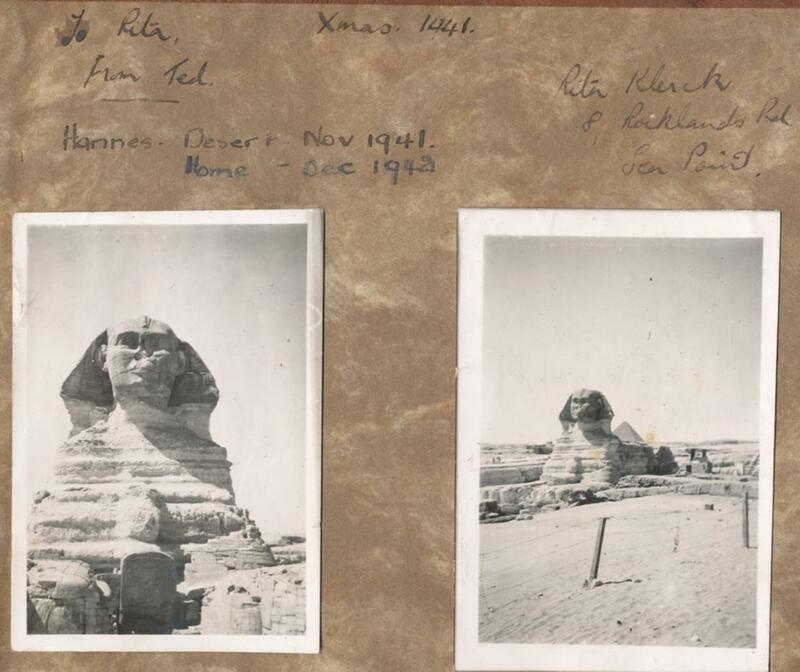 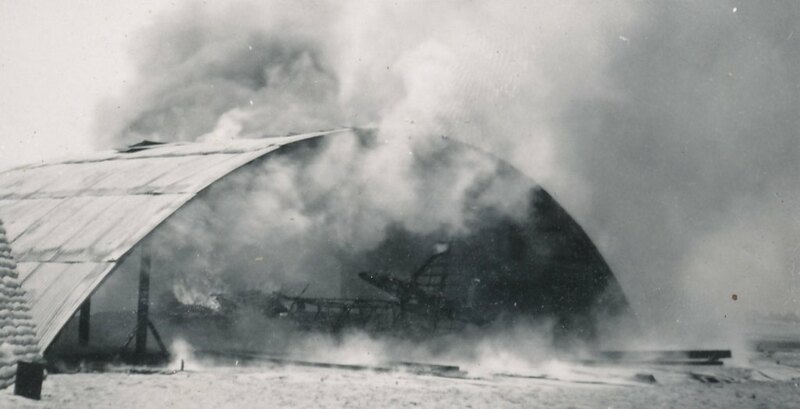 These photographs originate from the private albums of ww2 SAAF fighter pilot Hannes Faure. 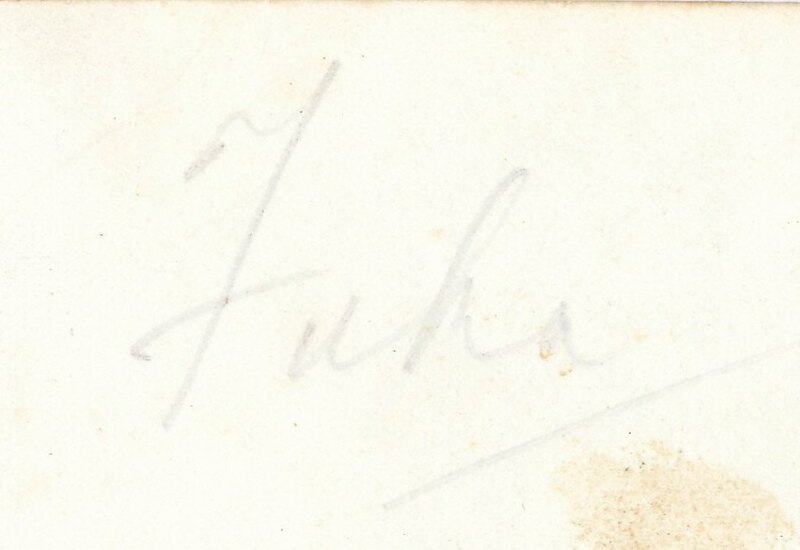 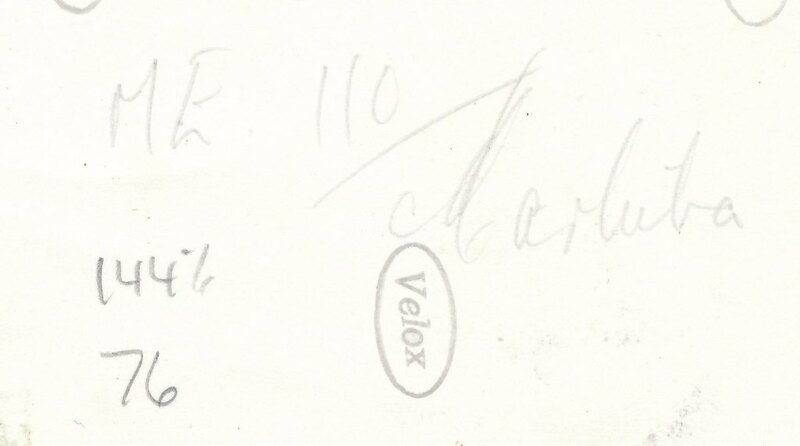 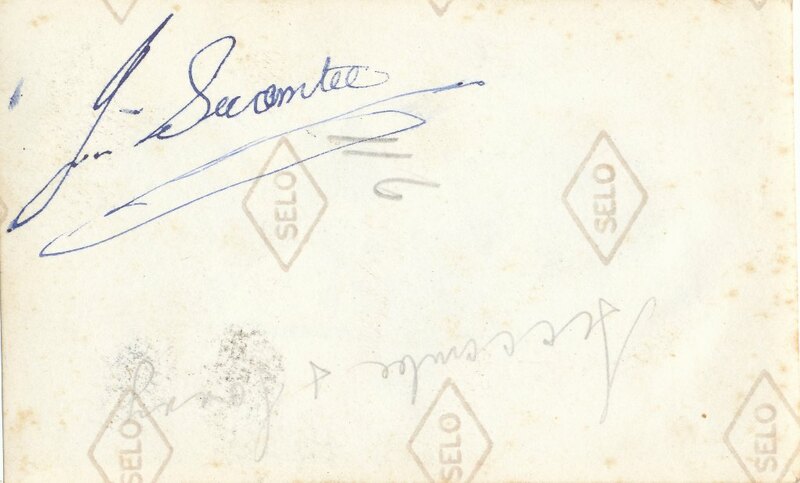 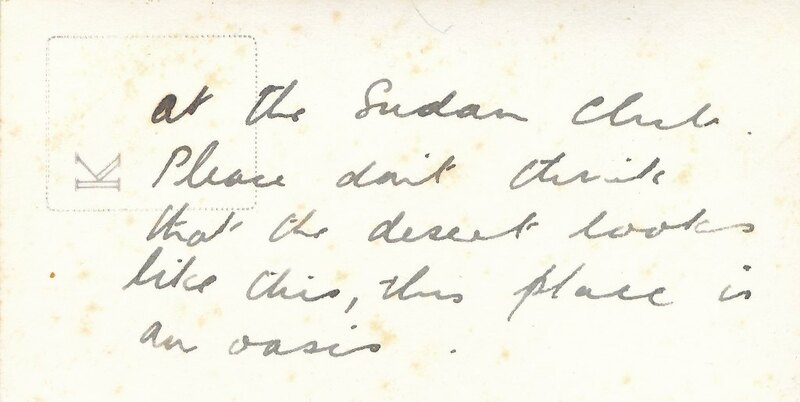 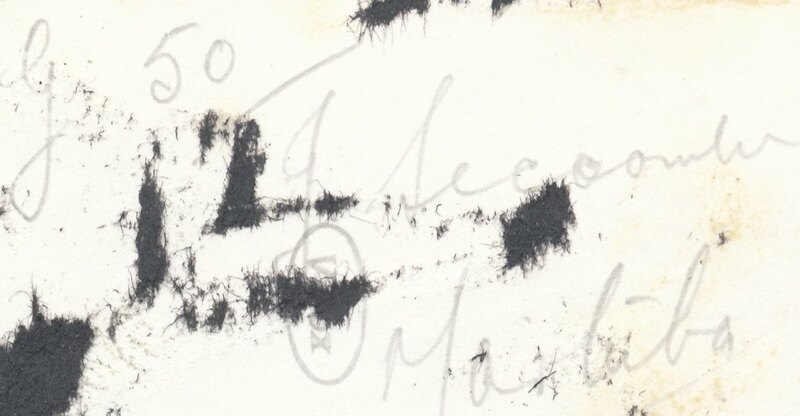 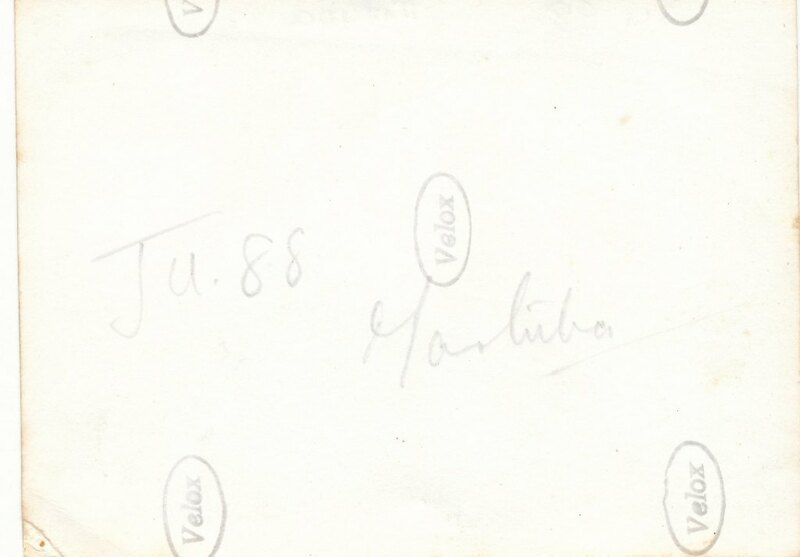 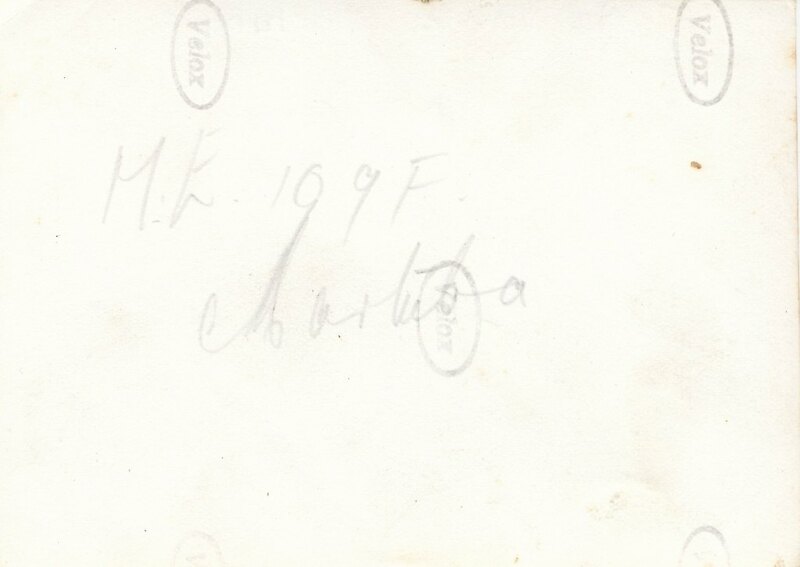 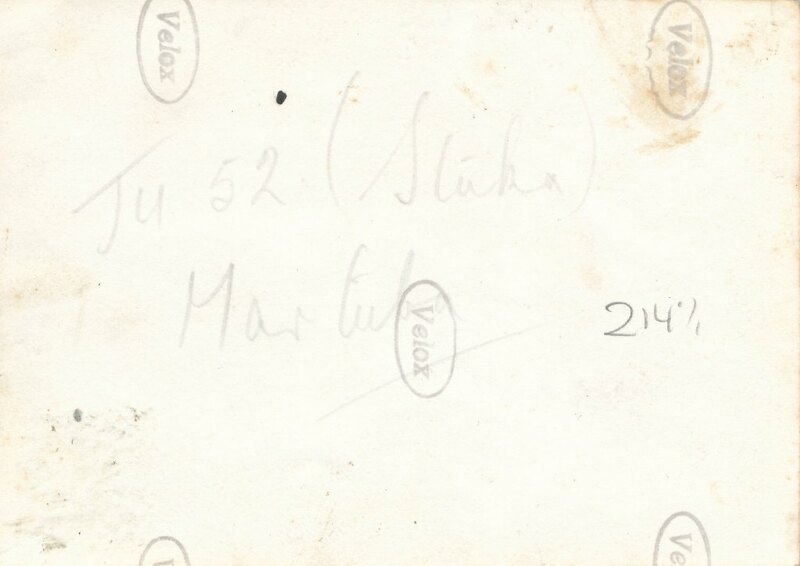 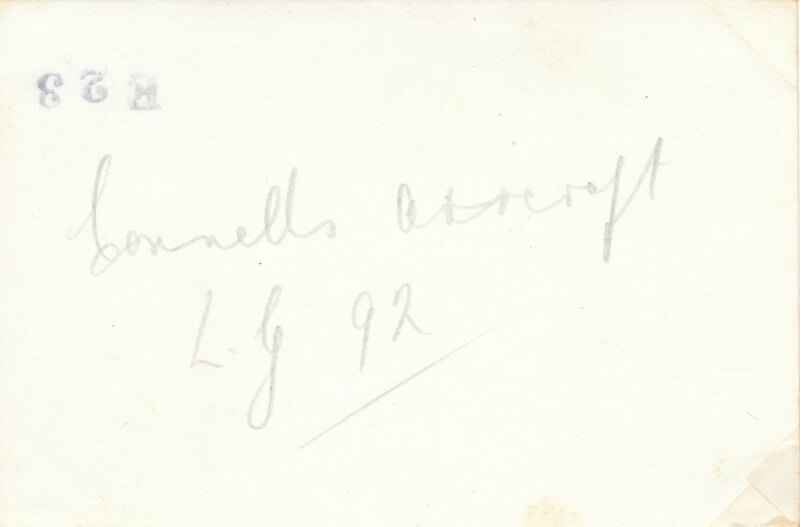 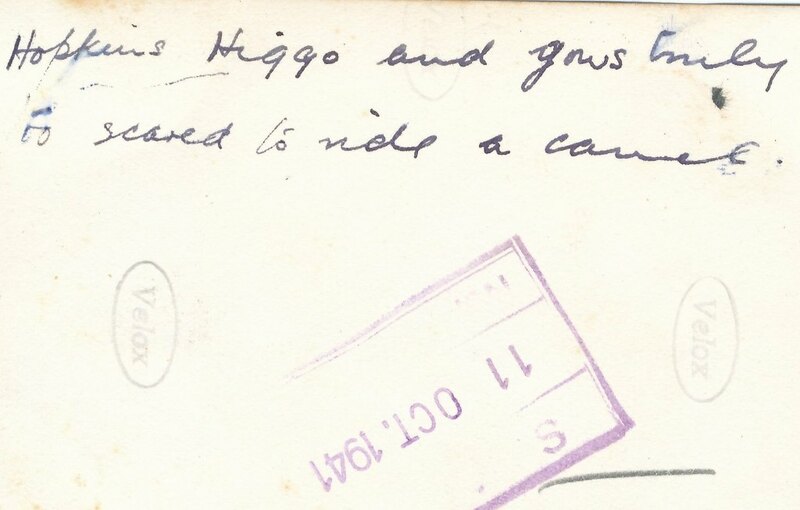 It was kindly made available to me by Pierre Faure, Hannes’s son. 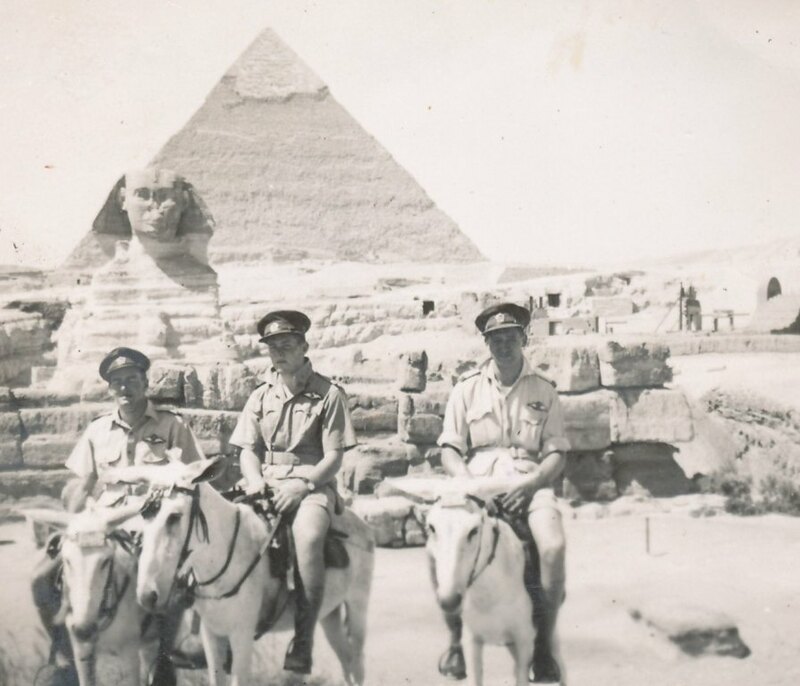 I scanned and placed the photographs on this web site in order to share these gems to enthusiasts and the wider public as a gesture of homage to these brave men of past glory. 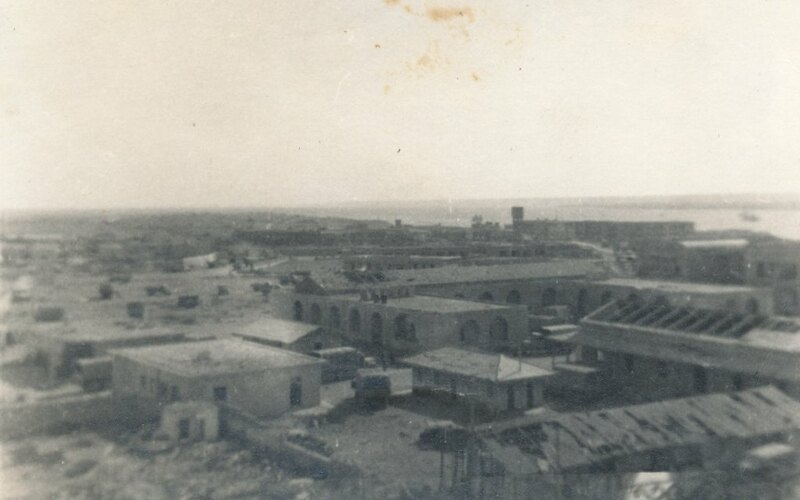 Please respect the copy rights of these photographs and contact me to obtain the necessary permission if you want to duplicate some of this material in other web sites or printed matter. 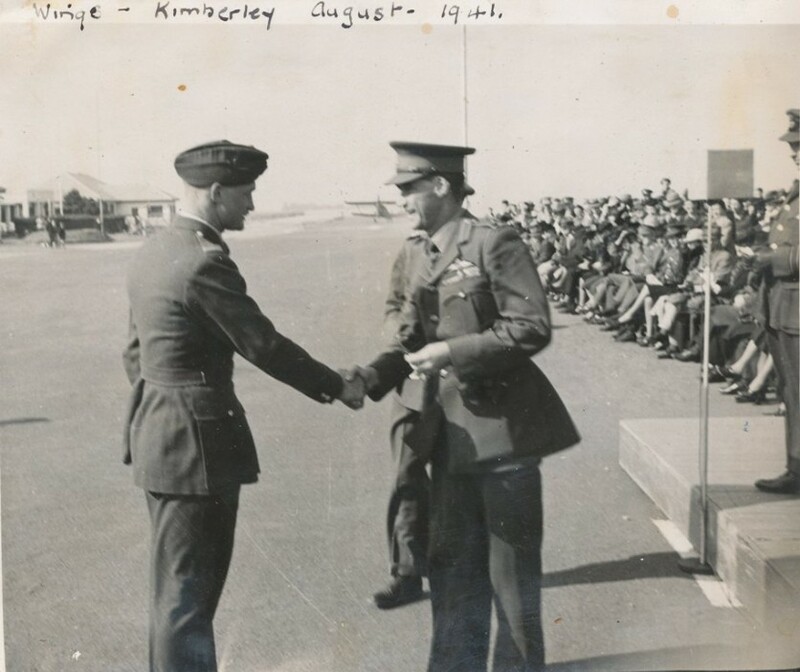 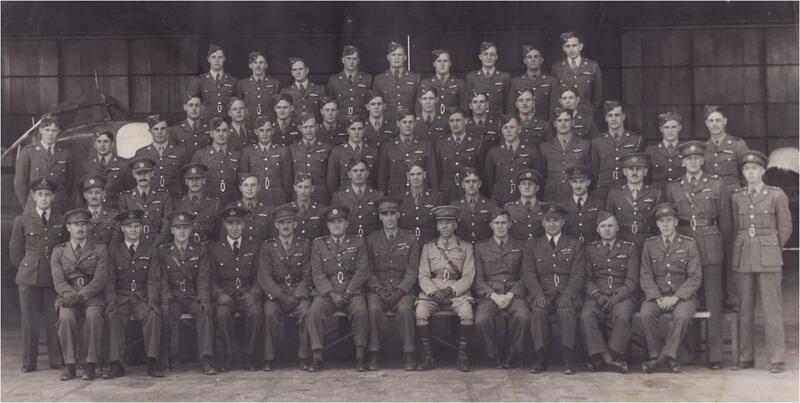 2) Group photo, Kimberley Air School class aug 1942 after wings were awarded. 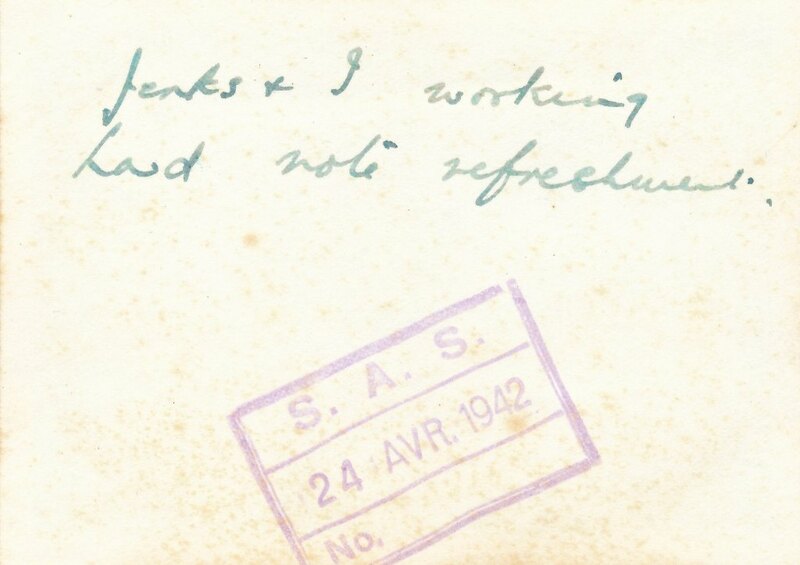 4) L.t.R. 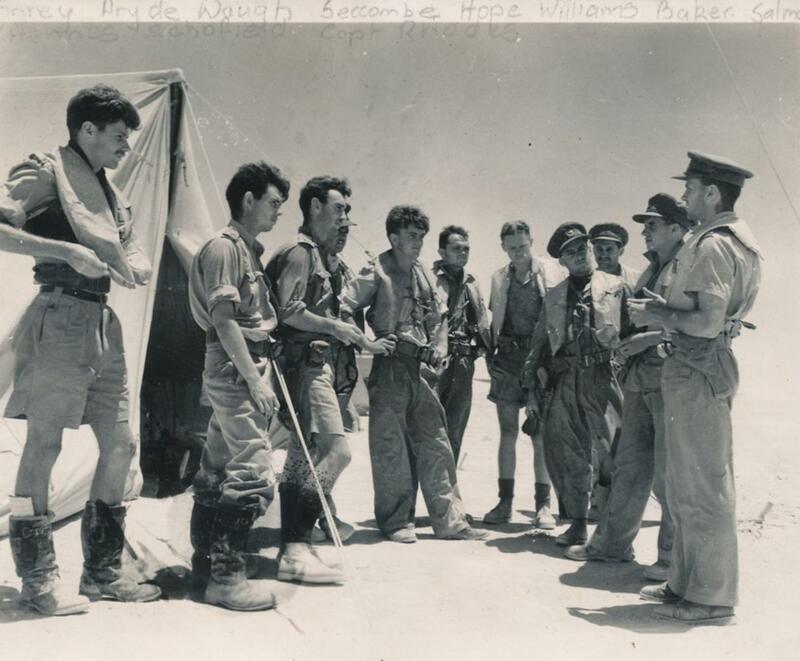 Bobby "Pongo" Pryde ?, Hannes, ?, ? 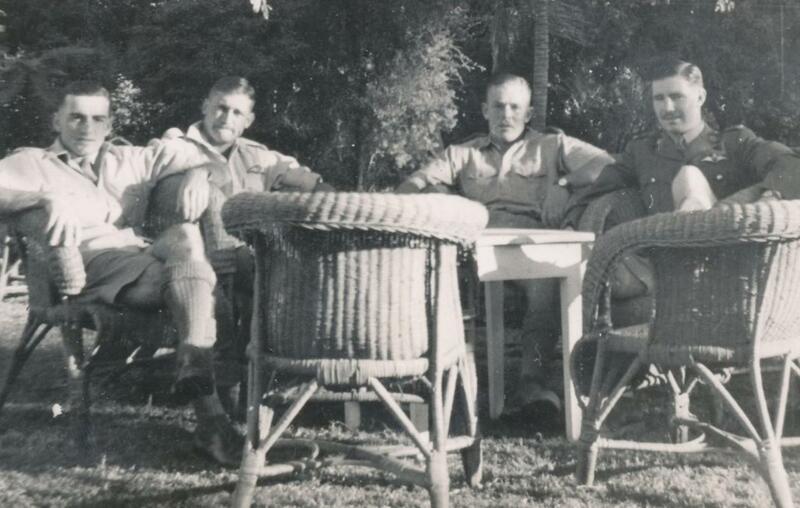 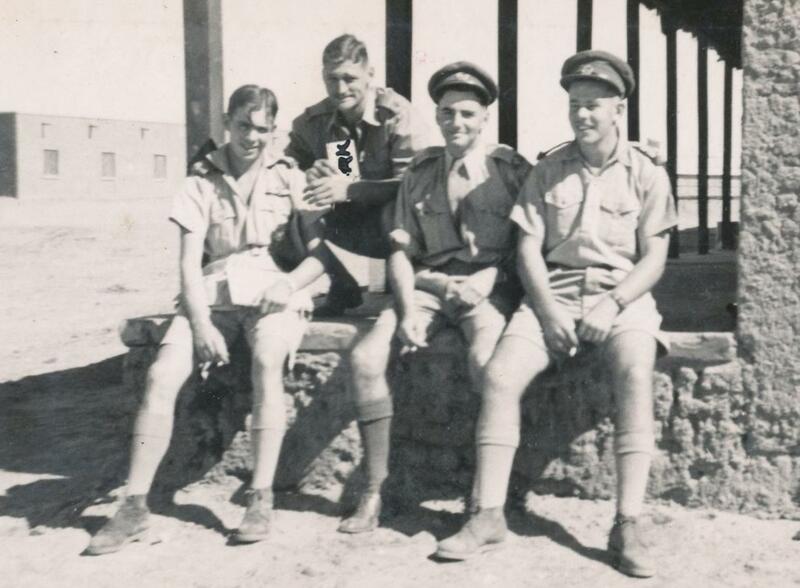 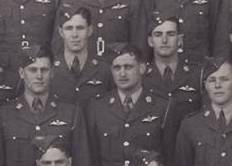 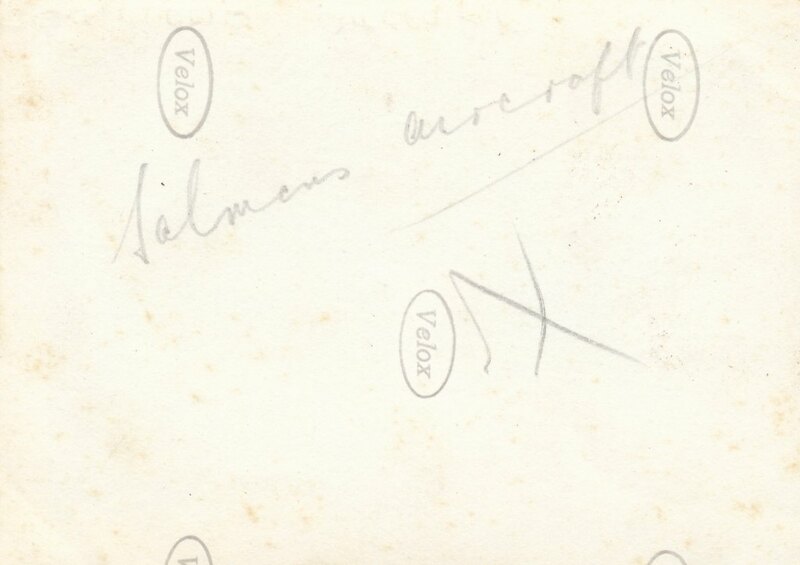 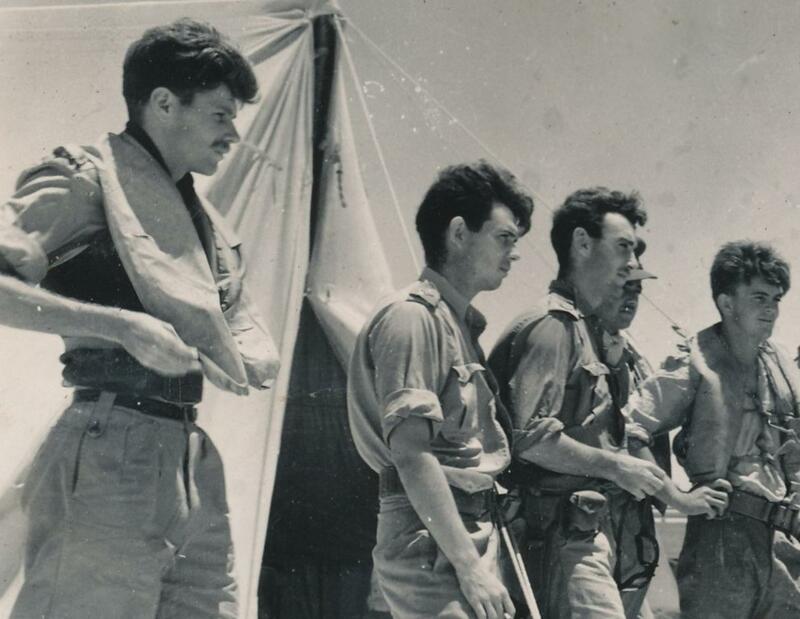 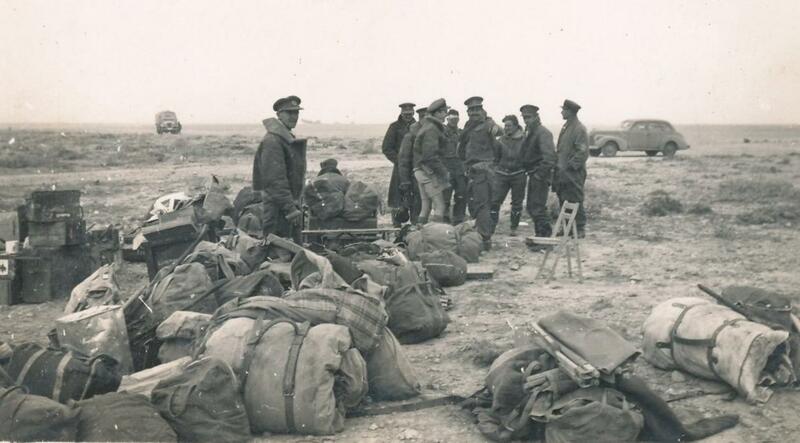 8) Before squadron codes were awarded, Hannes in the centre. 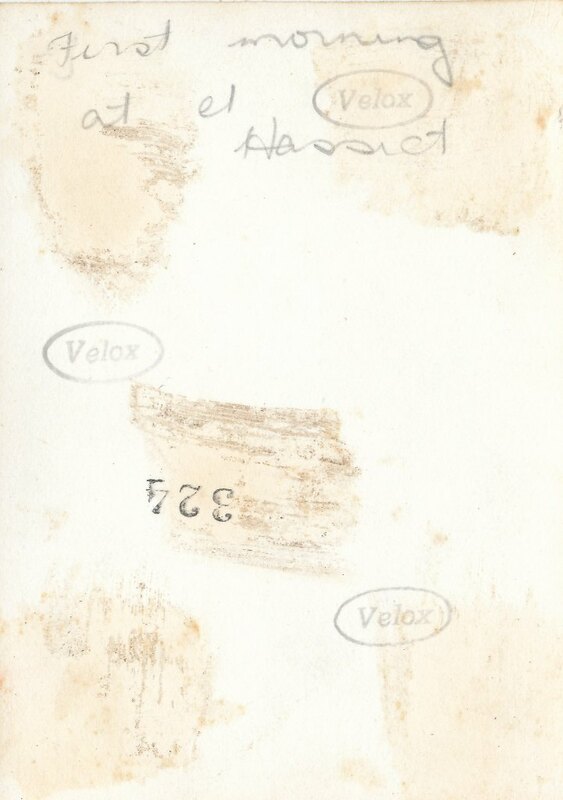 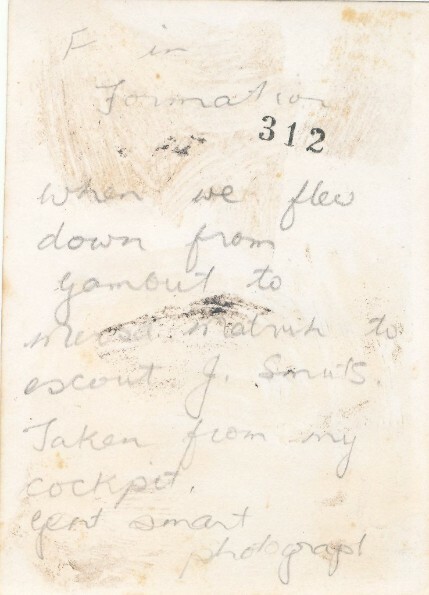 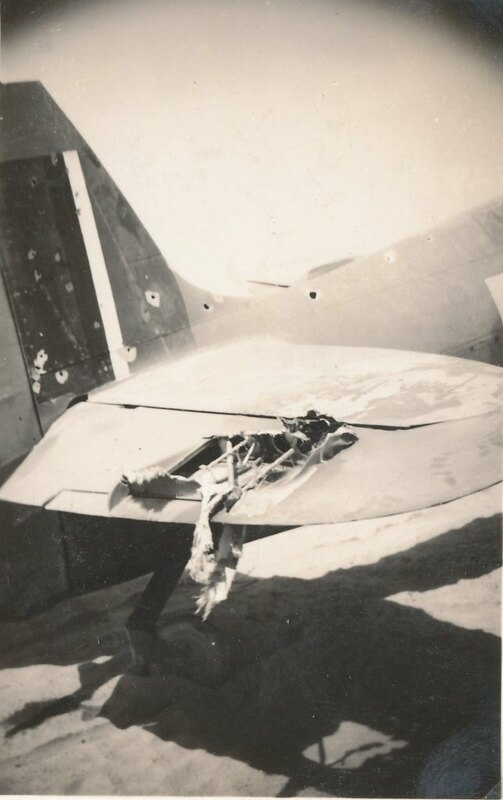 14) Ray Connell's aircraft being hit, Spit V.
19) "Jan Vis" Salmon's aircraft being hit. 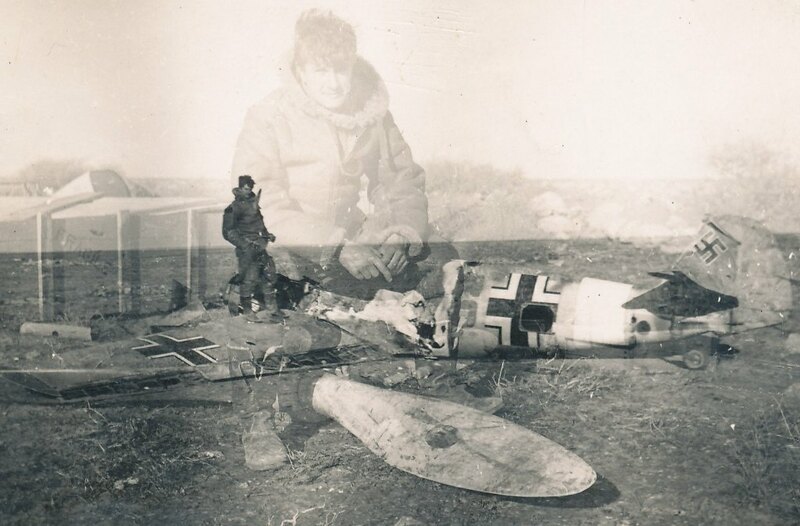 20) Double exposure pic: Bomb Finney? 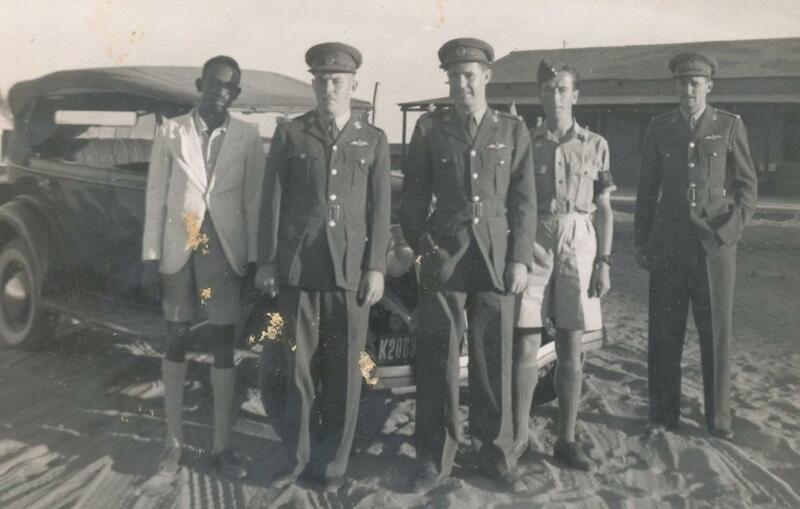 35) Bennie Osler standing with hands on hips.